‘Riktor doesn’t like the way the policeman comes straight into the house without knocking. He doesn’t like the arrogant way he observes his home. The policeman doesn’t tell him why he’s there, and Riktor doesn’t ask. Because he knows he’s guilty of a terrible crime. 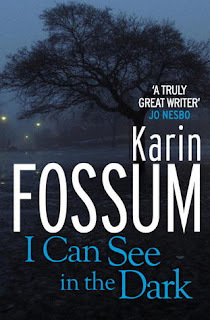 I have always enjoyed Scandinavian noirs and even though I have followed some TV dramas, I haven’t read a book till I read Karin Fossum. This is a book originally published in Norwegian and I am placing unconditional reliance on James Anderson’s translation of the book to English. In the Norwegian town of Løkka, there is an aged nurse, probably in his mid-fifties who likes to visit the park in his locality often. Unlike the usual protagonists, he is not likeable, at all; he is extremely rude, he tends to be a recluse, is apathetic to the happenings in the surroundings and yes, deliberately sabotages the medication of his ageing patients. The book adds an element of mystery from the very first page wherein, the name of the narrator is revealed only after around 30 pages. He had a paradoxical personality, wherein, he loved his life of solitude and at the same time, was desperate for the presence of a woman in his life. Over the course of the story, he even tries to befriend an acquaintance in the park but it ends up going terribly wrong. Before too long, the police arrive at his place, and he is charged with a murder; of one of his patients. While he has been an indirect cause of death for many of patients, this was certainly not a crime that he had committed and was desperate to prove that he was free from guilt. Since we know the criminal in this crime novel, the author kept the interest of the reader by uncovering every element of the case gradually, giving unexpected shocks to the protagonist and his prosecutors when facts are revealed. The life of Riktor when he was in remand was also brought out well, how he was consciously trying to change himself so that he could lead a normal life once he is declared not guilty; he offers to assist kitchen work in the prison. He becomes desperate for the company of the chef at the kitchen, Margarethe, which was aspects of the book where he consciously attempts to change himself. The book, however, introduced too many characters in the initial few pages, the people who frequent the park, his colleagues at the hospital and his patients. It turned out being quite difficult to go back and find out who the character was as, you could never judge whether someone was going to turn out significant or not. Moreover, while the author did a commendable job in building a character as complex as Riktor and helping the reader enjoy every bit of his characterisation, there were hardly such details for any of the other characters. Understandably so, Riktor is the narrator but then, it felt like I was effectively reading the character’s personal diary rather than a narration of events. To put things to perspective, the book is a quick read, and I found the premise interesting wherein, the lead protagonist is totally not likeable. I liked how the author managed to retain the suspense elements for a long time to come and unveiled them one after the other, keeping the reader’s interest going. Considering that, I would award the book a rating of seven on ten. United States, the country whose independence is often identified back to late 18th Century although the country we know today is a result of a series of acquisitions and wars. One such war was the Mexican-American war, which resulted in the acquisition of two of the most influential and prosperous states in the United States today, being California and Texas. This is a short retelling of the events from in60Learning. Mexico had just fought a war to gain independence from Spain. In the United States, the slave owners wanted to increase the number of states where slavery was permitted. The northern territories of Mexico, including Texas, California and New Mexico was sparsely populated and barely administrated. There was a wave of American immigration to Texas leading their eventual independence once they outnumbered Mexicans. However, that wasn’t sufficient as United States, in its want of territory, provoked Mexico for an attack for the sake of justification for going for war. It resulted in a highly one sided war, where they Mexicans had much inferior artillery and equipment. However, the American fear was that if they don’t invade Mexico, Britain will; and it was not viable to have Britain as a West Coast neighbor for United States. The book explains the root of the conflict, the political discourse in the United States over it, wherein a lot of politicians, including some of them being future Presidents, were opposed to the war. It then goes on to explain the fragile political environment in Mexico, the repeated change of governments and stances on war. 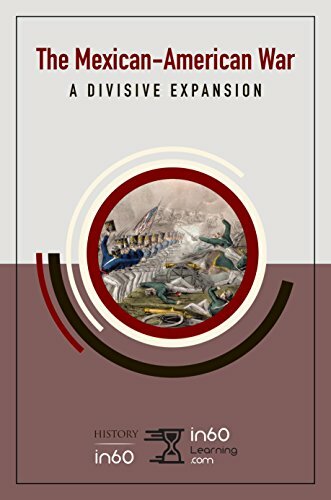 The conclusion has an interesting take, as to how US acquired large territory by means of the Mexican Cession, the US did pay a price in the end. Since this is a more recent event from the historical perspective, there was lesser need to cite conflicting sources and the lack of availability of sources from the other end unlike the case of what I had read earlier from them, The Battle of Thermopylae. So, I like it that they are willing to change their style depending upon the circumstances or the event. The book as such was structured well and gave good insight to the whole conflict. On that note, I would award the book a rating of eight on ten. Note: I read the comic in French, and thus, I would be using the names of the respective characters in French. For example, I’d refer to Getafix as Panoramix, Vitalstatistix as Abraracourcix, etc. I’d try my best to not review this book as an adult. 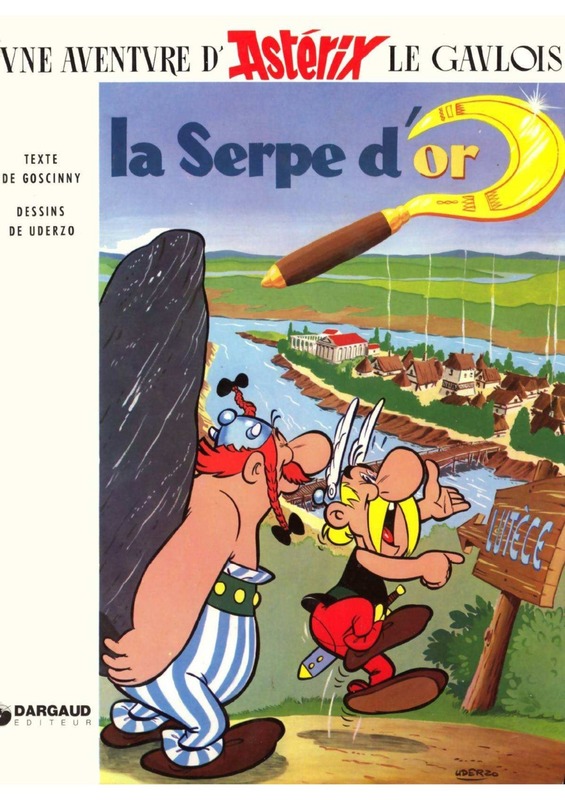 This is a comic by René Goscinny and illustrated by Albert Uderzo. This is the second instalment in the Asterix series. I used to read Asterix when I was young. I read this book in English then and now I am reading it again in French to improve my skills in the language. All of Gaul is under the Romans except one village. In that village live spirited and brave warriors retaining their independence despite being surrounded by four Roman camps. Panoramix (Getafix), the village druid has broken his Golden Sickle. Without the golden sickle, he cannot attend the annual conference for druids. Also, he will not be able to make the magic potion, which gives the Gauls superhuman strengths. Asterix is a small but intelligent warrior in the village who loves adventure and has no fears. He offers to go to Lutetia and fetch a new golden sickle for Panoramix. He is joined by his best friend, Obelix, who has superhuman strengths even without the magic potion. The two decide to get the sickle from Obelix’s cousin Amerix in Luetita. The task is much more dangerous than what it seems. The duo will meet all sorts of people in their journey – thieves, Roman Soldiers, etc. I enjoyed the conversations between Obelix and Asterix on their way to Lutetia. One was clumsy, and made stupid suggestions and got unduly emotional, adding to humour in the book. Asterix was the intelligent man who had to devise plans to help their mission. The story also had a good element of mystery, where the two had to find why Amerix was missing in Lutetia. This suspense element was kept till the end of the book. 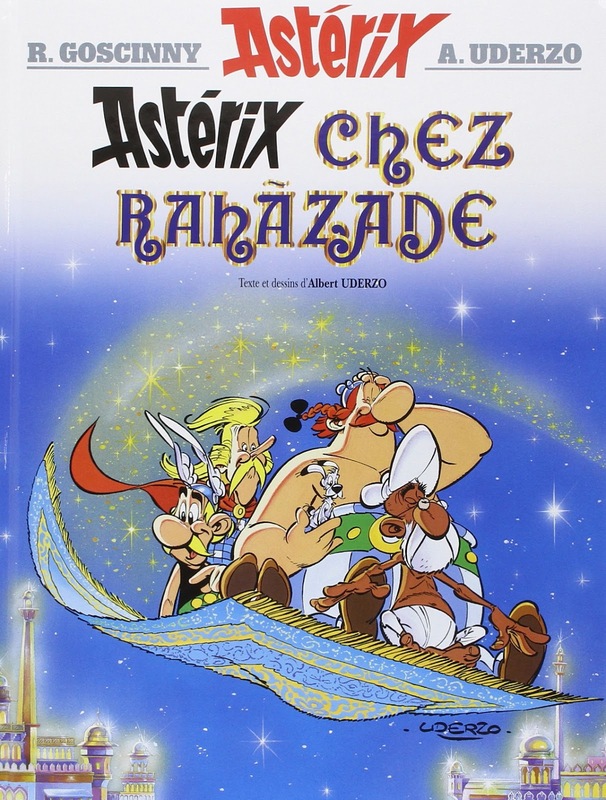 The story was also very well illustrated by Albert Uderzo, as, where I could not understand the text, I could understand with the help of his illustrations. The only problem I found was that certain characters spoke with a lisp. To express that, the author used phonetic spellings. Since I am a learner, I found it very difficult to understand the words incorrectly spelt. I enjoyed reading this comic and I certainly improved my French while reading this 46-page book. I would rate the book a seven on ten. Ancient Greece was hardly the Hellenic Republic that we know today. It was a collection of warring city-states and a few dominant kingdoms. However, they occasionally came together against a common enemy, and one such occasion was during the Greco-Persian wars in 400s BC. The Battle of Thermopylae was critical as the passage through the narrow tract of land would have given Persians the access to the Greek mainland. Legend has it that a meagre 300 Spartans defended the pass for long enough leading to an eventual victory for the Greeks in the war. This is a short retelling of the event from In60Learning. The book starts off describing the societal structure Sparta, the role of soldiers, the roles of men and women, the views of King Leonidas I and their relationship with Athens. The book then talks about the battle strategies of Greece, such as the hoplite formations, known as phalanx. The book then moves on to Xerxes I’s own ambitions of taking over Greece, carrying forward the vision of his father Darius. After setting the background, the book moves into describing the battle. What I liked was firstly, they book kept the promise of providing learning within sixty minutes, the events were well covered in a matter of around 35 pages. I also liked it as to how the author cited a variety of sources and also conceded that most sources available was Greek. As a result, the author issued a prior disclaimer on portrayals of Persians as Barbarians, Xerxes as a mad man, etc. since all these are from Greek sources. One aspect that could have been done better is that most average readers manage to read around 50 pages in a span of one hour. 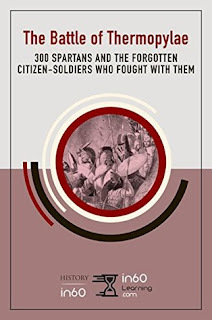 The author did very well to establish the background to The Battle of Thermopylae but then, the book by itself is only 35 pages and the description of the actual battle started only 19 pages in, which means that was for less than half the book. The description of the battle could have been made slightly longer. It is a well-structured book and is certainly worth a read for history enthusiasts. On that note, I would award the book a rating of seven on ten.